When should a child start playing organized sports? What’s too young? When is it too late? How competitive is it? Do they have fun? What do they need? What is Wasco all about? All great questions! Here’s just some information to help you navigate through all the different organizations and typical questions. Open to ALL area players, k-2nd current grade, with no “Out-of-District” fees. Great way to see how interested your player is in softball and still allow time for family and other activities. Before the season begins, they will have approximately 2 practices a week. Approximately 12 games played plus a tournament. For the spring/summer season, they play on Mondays/Wednesdays and/or Saturdays. For fall ball, they play only on a Saturday (rain outs on Sundays). At this age, it’s all about fun – fun – fun while learning! Games are only 60 minutes. 2nd graders will finish their season with a World Series Championship under the lights! They will also get special seating to watch the 10U Championship games so they can get a taste for what to expect in the fall when they move up to 10U or the following spring season. Many, many area high school varsity players as well as college players started right here! We have camps every season specifically for 8U. These camps are run by professional trainers as well as current elite travel players from the Dennison Silver Hawks, STC Silver Hawks and past college players and focus on hitting, fielding, throwing and game play. 8U players need nothing other than a glove. 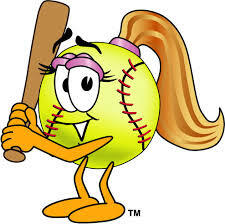 Their coaching staff will have everything from helmets to size appropriate bats and balls. Another option is to visit our partner, Play It Again Sports of St. Charles if you’d like to purchase your own equipment. All 8U players end their season with “FUN” games where we have lots of events centered around them. 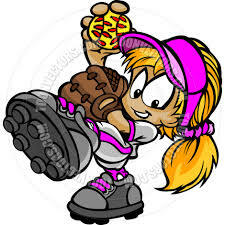 If, after discovering a passion, an advanced skillset and/or a desire to elevate their game, they may choose to try out for various levels of travel softball including the Wasco Warriors/Silver Hawks All-Star teams, or STC Silver Hawks A & B teams or ultimately the Dennison Silver Hawks College Exposure A Teams. ALL THIS IN ONE ORGANIZATION!!!!!! …all this for only $150 (plus $75 in raffle tickets which can be sold to recoup the investment). Fee covers jersey, all practices and games, field maintenance, game balls, umpires, scheduling fees, insurance, team equipment, coach's training, year-end tourneys and much more. THERE ARE NO OTHER fundraisers. For any additional questions or are INTERESTED IN COACHING, drop the 8U Commissioner Traycie an email at . Join one of the oldest, largest and most well respected organizations around!